IMAP is a mail protocol that allows an email client to access mail on a remote server. With the proliferation of mobile devices for the typical user, IMAP is now the most popular mail protocol in use. You can access your email that is stored on our cloud servers no matter what device you are using. Your email will be sync and your mail accessible wherever there is an Internet connection available. POP3 is a mail protocol that allows a local email client to receive/download mail from a remote server. POP3 allows you to download your mail and to access it even if your computer is offline. Using POP3, your mail is removed from the remote server as it is being downloaded. If you have no need to access your email from different locations then POP3 would be the preferred protocol to use. Our email hosting service supports both POP3 and IMAP mail protocols. This gives you all the flexibility your company or organization requires. Our email hosting service is secure, reliable, and fast. We provide spam scanning and the use of filters, a powerful combination to insure your inbox remains spam free. At $5 a month and a generous amount of disk space, our email hosting service is very competitive with other similar offerings. 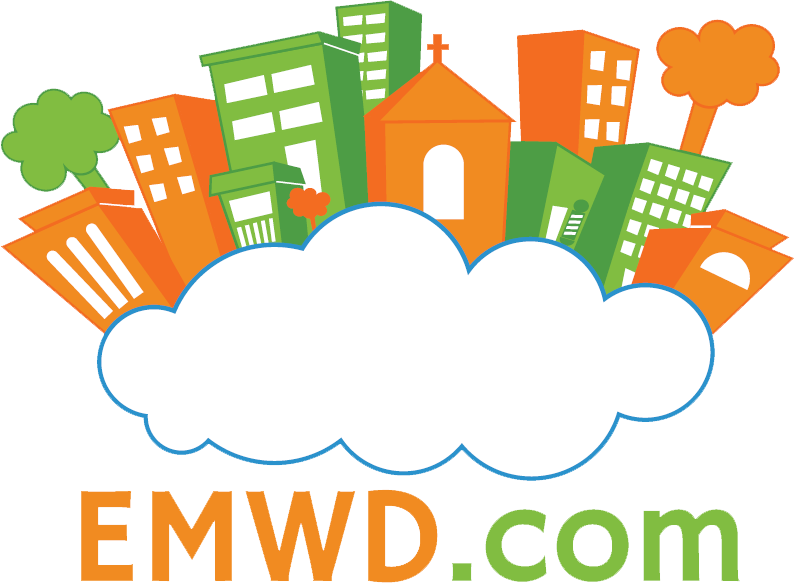 Why choose EMWD to host your email? Keeping your business email secure is essential. That’s why we manage our own servers, offer multiple layers of spam and virus protection and keep ads out of your hosted email. We also do not spy on our clients’ emails. When it comes to email, getting fast and competent help is imperative. Email is the lifeblood of most companies. Our support techs take this very seriously. Horde webmail is a communication suite based in the browser. Uses can read, send, and organize email messages as well as manage and share calendars, contacts, tasks, notes, files, and bookmarks. You can run horde anywhere on any device in your browser. Roundcube webmail is a browser based IMAP client with an application-like user interface. It provides all the functionality you’d expect from an email client, including MIME support, address book, message searching, and more. Sign-up today and start experiencing the security, reliability and user-friendliness of our email hosting service. At $5 per month, you can’t go wrong.